I have been teaching factors for a long time now, and it wasn’t until I came across a picture on Pinterest that I had an Ah-ha moment! The T-chart! Why have I never thought of this before? I have always modeled finding factors by listing them horizontally. Today, I used this with my 4th grade students and they got the hang of it pretty quick. It was a GREAT visual! 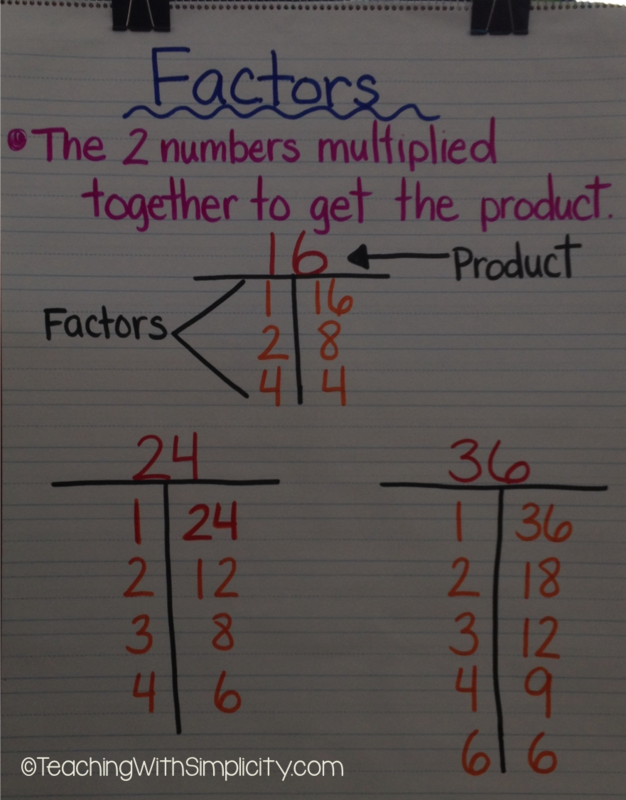 Have you used the T-chart to help students list the factors of a number?